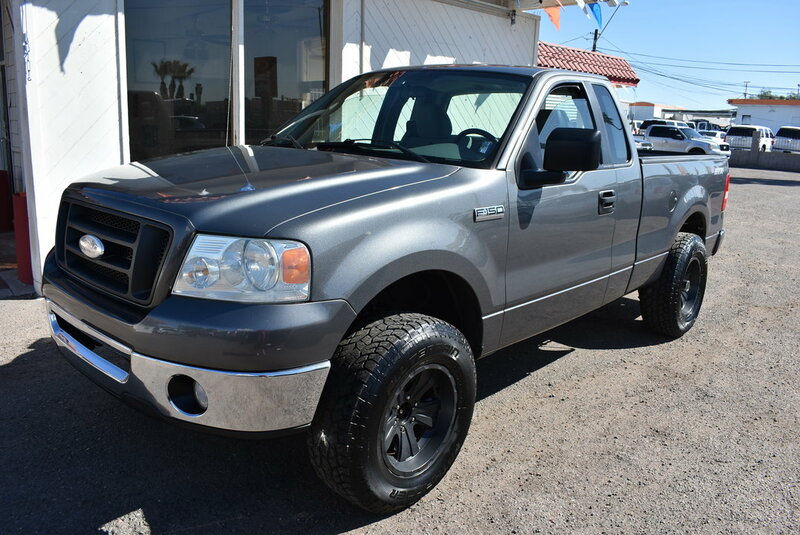 Our 2007 Ford F-150 STX Regular Cab 4X2 is shown in Black. Powered by a strong 4.2 Liter V6 mated with an automatic transmission. Our Rear Wheel Drive STX is a thoroughly modern pickup with roomy passenger and cargo space, and broad-shouldered bodywork that looks the part of an all-American pickup truck with great body lines and unique wheels. Our STX trim features comfortable cloth seating, cruise controls on the wheel, AM/FM stereo/CD player, body color bumpers, and privacy glass. Climb inside this half-ton pickup and you'll barely know you're in a truck thanks to a modern interior design that effectively blends functionality and style. Check out our photos and complete features list...you won't be disappointed! Standard safety features like ABS, multiple airbags, and seat belts are included. Load it up! It's ready to take on whatever you have planned! Stop dreaming! Print this page and call us Now... We Know You Will Enjoy Your Test Drive Towards Ownership!